Lift the flaps to reveal your favourite octopus! Will it be the Cuckoo Clocktopus, the Scary Shocktopus or maybe even the Party Frocktopus? 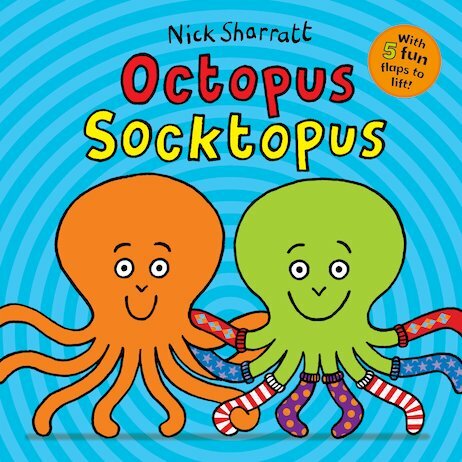 There’s an octopus for everyone in this fantastically colourful sequel to the hugely popular Elephant Wellyphant, shortlisted for the Roald Dahl Funny Prize. Now in a handy board book edition that’s perfect for young children. Collect them all: Elephant Wellyphant, Moo-Cow Kung-Fu Cow and Octopus Socktopus.